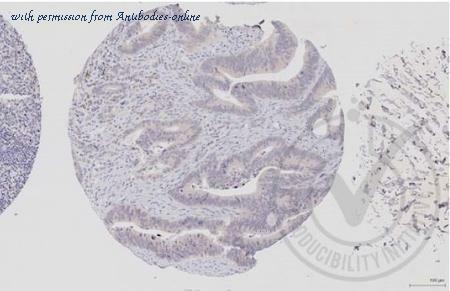 Images provided the Independent Validation Program (badge number 29651)Formalin-fixed and paraffin embedded human colon labeled with Rabbit Anti-c-Raf/Raf1 Polyclonal Antibody (ABIN733208) at 1:250 overnight at room temperature followed by conjugation to secondary antibody. 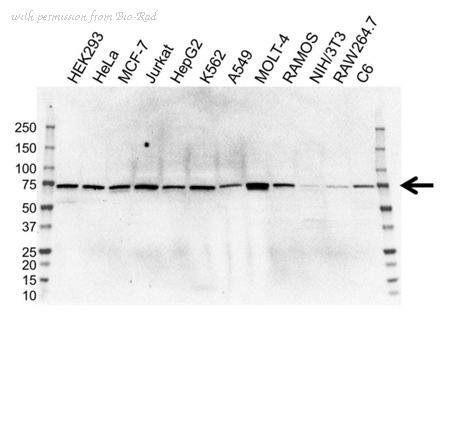 Detection of Human, Mouse, and Rat Raf-1 by Western Blot. Western blot shows lysates of MCF-7 human breast cancer cell line, HepG2 human hepatocellular carcinoma cell line, A431 human epithelial carcinoma cell line, L-929 mouse fibroblast cell line, and NRK rat normal kidney cell line. 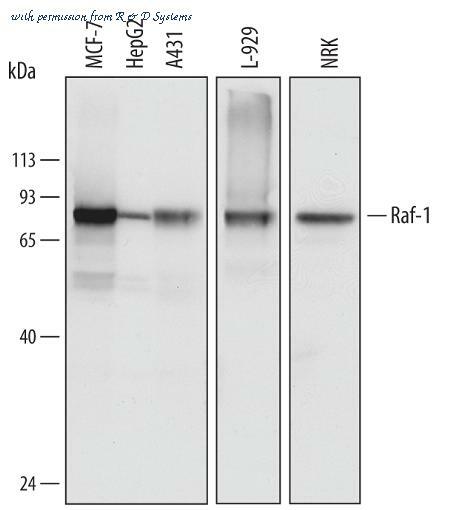 PVDF Membrane was probed with 1 ╡g/mL of Mouse Anti-Human/Mouse/Rat Raf-1 Monoclonal Antibody (Catalog # MAB4540) followed by HRP-conjugated Anti-Mouse IgG Secondary Antibody (Catalog # HAF007 ). 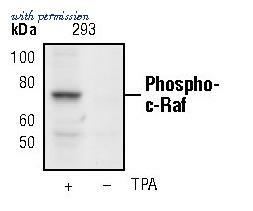 A specific band was detected for Raf-1 at approximately 74 kDa (as indicated). This experiment was conducted under reducing conditions and using Immunoblot Buffer Group 3 . 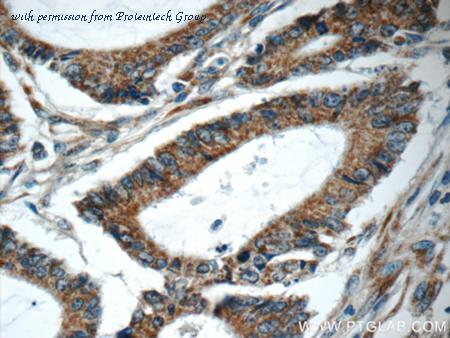 The RAF1 antibody from Proteintech is a rabbit polyclonal antibody to a recombinant protein of human RAF1. This antibody recognizes human,mouse,rat antigen. The RAF1 antibody has been validated for the following applications: ELISA, IHC analysis.